Prepare for a whirlwind of feels on the Melodic Tonic ’18 October 10th edition. 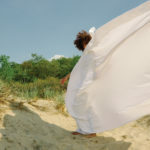 From crunchy indie rock to gripping instrumental film score sounds, these tunes come from artists in Italy, Lebanon, and the US. We start with an energetic offering from an old favorite. 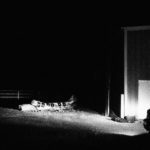 Where their 2017 album (Life Without Sound) veered into mellow, contemplative territory, their forthcoming Last Building Burning LP finds Cloud Nothings embracing their indie rock roots in a big, sweaty bear hug kind of way. “So Right So Clean” is indie ferocity writ large and loud. With energy this palpable and infectious, you can skip your morning caffeine fix and still feel amped enough to conquer the world. Going by this tune’s bite, he clearly succeeded in making that happen. Last Building Burning arrives October 19 via Carpark Records (US) and Wichita Recordings (UK/EU). You can pre-order it from these links. Cloud Nothings are: Dylan Baldi (vocals), Chris Brown (guitar), TJ Duke (bass), and Jayson Gerycz (drums). “You talk about love like you’re heading into battle” is one hell of an opening line. That is just one of the lyrical gems found in “The One I Love” from indie artist Justin Sullivan – a.k.a. Night Shop. As a seasoned drummer, Sullivan spent years on the road touring with other artists (The Babies, Kevin Morby, Flat Worms). 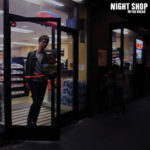 In early 2017 Sullivan released Night Shop’s self-titled debut EP, having taken a yearlong break from everything to focus on creating his own full-length album. The result, In the Break, arrived a few weeks ago. In The Break is out now on Bandcamp and iTunes from Kevin Morby’s Mare Records imprint through Woodsist Records. Subways on the Sun should be on your radar (if they aren’t already) for two reasons. First, their jangly indie pop-rock is rewarding on many levels. But more importantly: their music fills a hole in your life you may not realize you have. 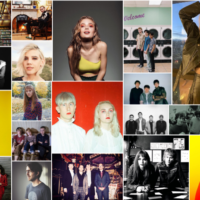 Sure, there is plenty of great new indie music out now, with Pacific Northwest bands well represented. 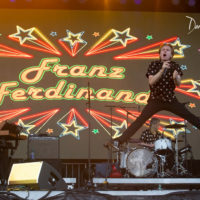 So what makes this band so great? Think about John Hughes movies from the ‘80s. Nearly every film featured an otherwise forgettable character who overcame his (or her) limitations and did something. 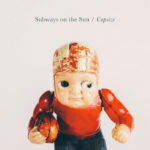 Amidst otherwise forgettable indie bands, Subways on the Sun stand out because the depth and urgency of “Hope You Like Getting Old” pushes them to the forefront. It’s tinged with melancholy and summoned courage that produces an emotional rush. When the protagonist in those ‘80s teen films took action to pursue their dream (like asking out their hot crush or taking the Porsche for a joyride), viewers were along for the ride, cheering them on. That same emotional connection resonates with Subway on the Sun’s listeners. They bring you along on their joyride and the result is a blissful rush. Their new LP, Capsize, is out now from Spartan Records. Get your copy here. Back in August we fell under the spell of “Kind of Love” from the amazing Chicago-based artist Tasha. Her honey-rich vocals are the very essence of the term mellifluous, and those sultry tones are on display yet again with her latest single. “New Place” maintains the languid vibe we now associate with this emerging star. Not a single note is rushed. Once she begins to sing, the outside world ceases to exist – or at least you lose all track of it for just over three minutes. As a poet, Tasha makes words come alive. But as a vocalist, she gives those words flight where they soar with chic, confident elegance. If you have not yet discovered this future star, you owe it to yourself to find some headphones and queue up this tune. Let her take you to a new place where every note is a gift she bestows on the listener. Pre-orders for Alone at Last are available from these streaming and purchase links. The LP is out October 25 from Father/Daughter Records. The dreamy, lo-fi pop “Ready to Dissolve” from Interbellum sounds like a band from Glasgow, not Beirut. This of course proves that beautiful melodies transcend borders and genres are not limited to specific regions. Interbellum – the project started by Lebanese singer/songwriter Karl Mattar – evokes the baroque pop style of Belle and Sebastian. As you listen, you also discover rich textures that echo Deerhunter. While you might associate Interbellum with other bands, they are far from derivative. 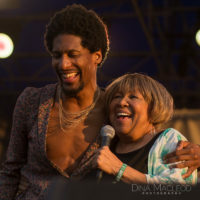 Instead, “Ready to Dissolve” is its own unique blend of sounds that greets you with a warm intimacy. The backing vocals from Julia Sabra (of the Beirut indie dream-pop group Postcards) add an ethereal touch to a song with heavy lyrics. While the “sun goes black” and “everything tastes like ashes” is a bit bleak, the lightness of the melody brings perfect balance. 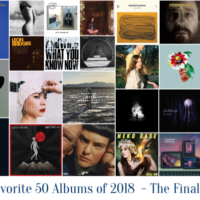 Based solely on this song, Interbellum has made our list of Favorite Discoveries of 2018. Take a listen and you will understand why. 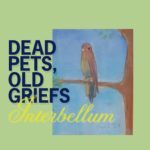 You can find this song on their new album, Dead Pets, Old Griefs, available from the band’s website, Bandcamp, and iTunes. Interbellum features Karl Mattar (vocals, guitar, bass, synth, glockenspiel), Julia Sabra (vocals, synths), Fadi Tabbal (synths, bass, guitar, drums), Marwan Tohme (bass), and Pascal Semerdjian (drums). We rarely feature composers and classical musicians on this site. It’s not because we don’t love film scores or instrumental music (quite the opposite), but rather that few composers make a powerful impression on us. 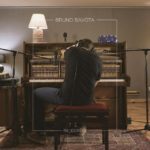 One artist who does is Italian multi-instrumentalist Bruno Bavota. His new song “The night of” is from his upcoming RE_CORDIS album that arrives next year from Temporary Residence Ltd.
Breathtaking is one word to describe Bavota’s work, yet it does not capture the power of this piece. “The night of” is emotion set to music. Each note he plays heightens your interest; each crescendo quickens your pulse. His dynamic performance draws you in and keeps your attention focused on every nuance – from the furious pounding of the keys to the brief silence between the notes that causes you to hold your breath in anticipation. The tension he creates is what transforms an ordinary film score into a masterpiece. Some artists place paint on canvas to create beauty. Bavota places his hands on ivories and does the same. Music this beautiful deserves to be in your collection. 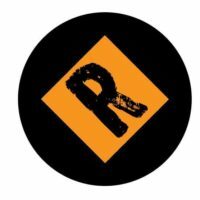 You can pre-order RE_CORDIS on Bandcamp ahead of its release in January 2019.